München, the Bavarian capital of Germany was our first European destination. 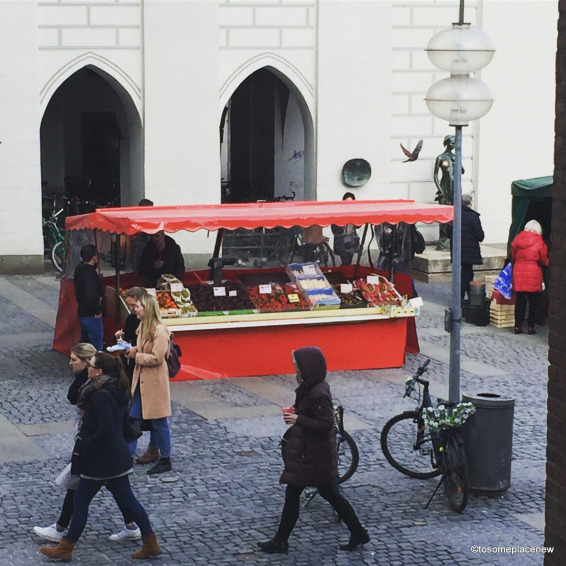 The spring of 2017 was a great time to set foot into Europe and capture the unforgettable memories throughout Central Europe. 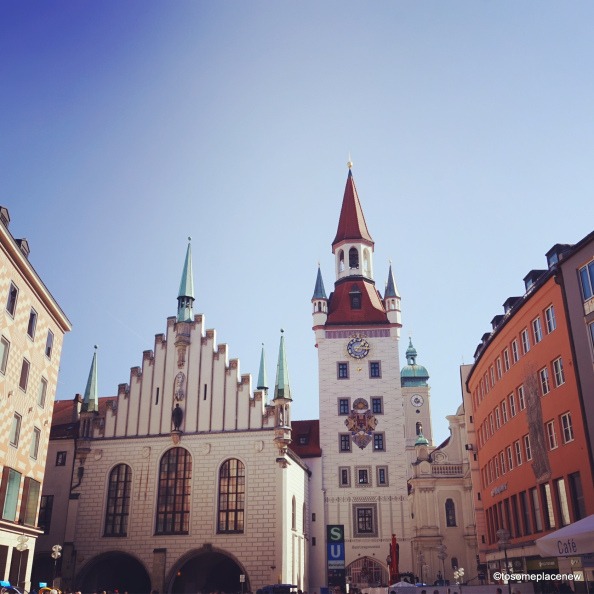 In this post, we share our Munich itinerary and what we learned exploring this historic city. The city has pay-toilets (washrooms). Charges are 50 cents to 1 euro. My husband and I had big grins on our faces when we started for the airport to board our flight to Munich. We boarded a Lufthansa/Air Canada flight from Montreal to Munich (with a flying time of 7.5 hours) and arrived in the morning. We touch-downed in Munich at 9:40 am. Customs and immigration was a breeze. 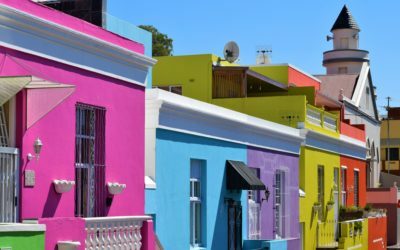 Show your visa, record the finger scans and you are good to go! Arriving early gave us the entire day to explore the new city! 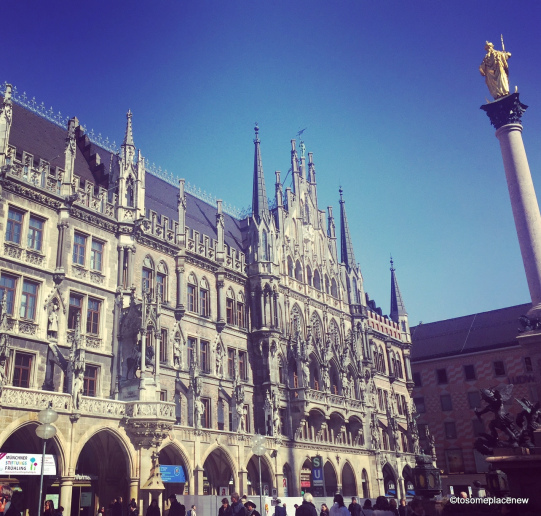 We had a quick breakfast stop and then took the S-Bahn (subway) to the heart of the city – Hauptbahnhof (Munich Central Station) and then Marienplatz (Mary’s Square). It took us 50 minutes to arrive from the airport to Marienplatz. We had arranged for a free walking tour from Sandeman New Europe Tours in the afternoon. Marienplatz is the city’s oldest square. Many historical events (since the Thirty Year Wars) began or were started at this square. The subway takes you to the square and when you exit the transit area you are welcomed by Gothic- historical buildings all around you. There are government buildings and city halls in the vicinity. You will have tons of options for food and souvenirs in this area. We spent the afternoon, listening to Munich’s history and walking through the lanes of Bavarian kings and their residences. Within walking distance, is Odeonplatz (also one of the transit/subway stations). Odeonplatz has traditionally been an important site for parades and public events, including the annual parade to the Oktoberfest. Bavarian Residenz and Bavarian State Opera building is located on Max-Joseph-Platz, near to Marienplatz. We also visited the St Peter’s Church, which is the oldest recorded parish church in Munich and presumably the originating point for the whole city. The parish church is 91 meters high and is known as “Alter Peter” or Old Pete. 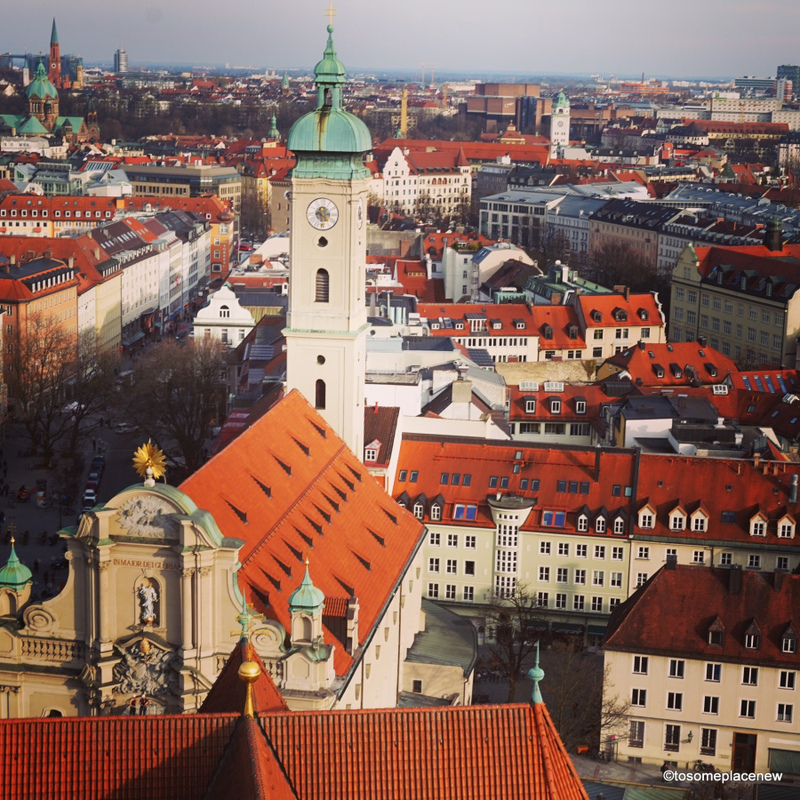 You can get stunning views of Marienplatz and the Munich city from its observation towers. Entry to the tower is 3 euros. We spent our entire afternoon in the old square and its neighboring lanes and marketplace before checking into our hotel, late in the evening. We stayed at the NH Messe Munchen Hotel. Although not a central location, this hotel was good and easily accessible to subway stations. 20 minutes from the hotel, was the famous “English Garden“, a large urban park with waterfalls, beautiful gardens, a Chinese tower, open-air theater, etc. This park is open all year round and is one of the largest in Europe. Our 3rd day in Munich started with an early breakfast at 7:00 am as we planned to do a day trip to Nuremberg. Most hotel breakfasts had buffet options with sausage and cheese platters. And varieties of bread and loaf and pastries. Yum! We never had so much cheese in our entire lives like we did in our this trip to Europe. From Munich to Nuremberg by road is about two hours. You can reach Nuremberg by train in about an hour. There are many options for day tours available to Nuremberg with different itinerary options from various local tour operators. Nuremberg is the second largest city of Bavaria, after Munich. Within Nuremberg is the river Pegnitz and the Rhine–Main–Danube Canal. You can view this as soon as you enter the centrum. Nuremberg is often referred to as having been the ‘unofficial capital’ of the Holy Roman Empire. It’s in these imperial castles that the administrative affairs of the Diet/Reichstag were discussed. Nuremberg soon became a hustling trade route and many guilds were established. 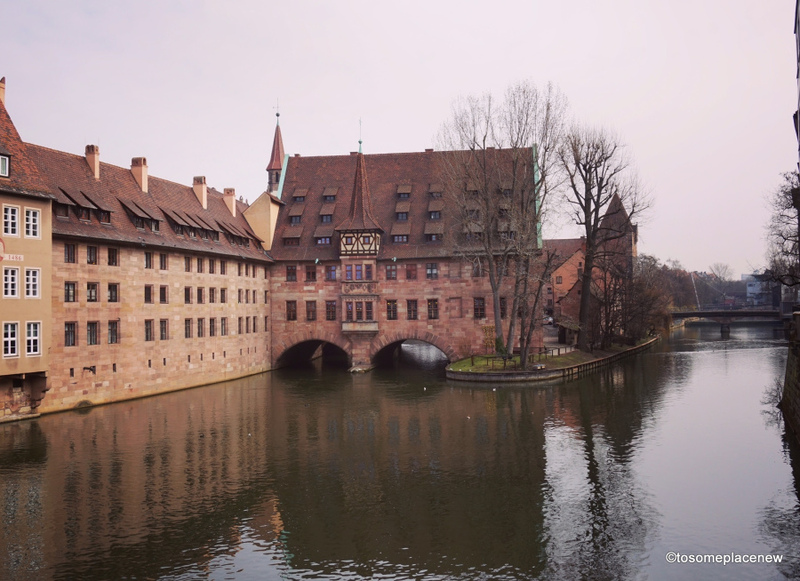 Nuremberg Castle, a group of medieval fortified buildings, is worth exploring. This castle, together with the city walls, is considered to be one of Europe’s most formidable medieval fortifications. It represented the power and importance of the Holy Roman Empire and the outstanding role of the Imperial City of Nuremberg. Pictured above is the “Church of Our Lady” (Frauenkirche), within the main market place. The church is an example of brick work in Gothic style architecture. 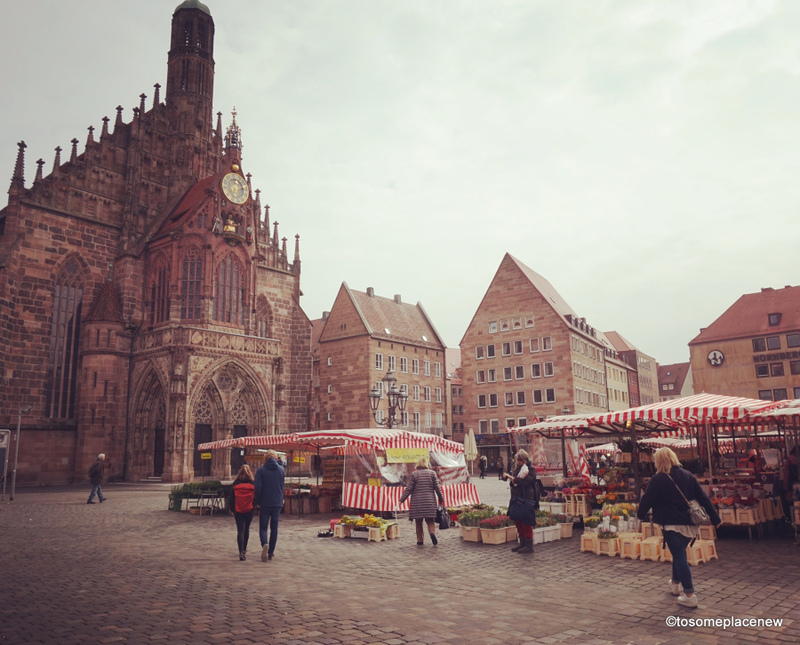 We spent our day in the city browsing through the marketplace and the beautiful lanes of Nuremberg. On day 4, we decided to move to a central place for our accommodation. 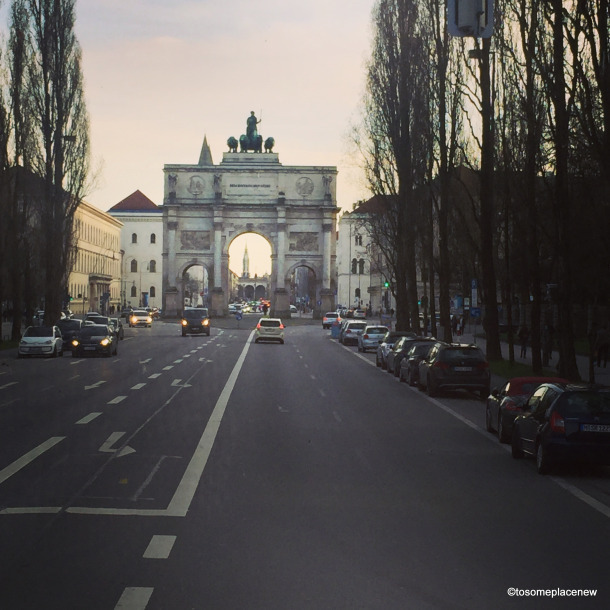 We stayed at the TRYP Munchen Hotel for the next few nights to explore the city further. This hotel was closer to the Central Munich Station. Today we decided to do something different. 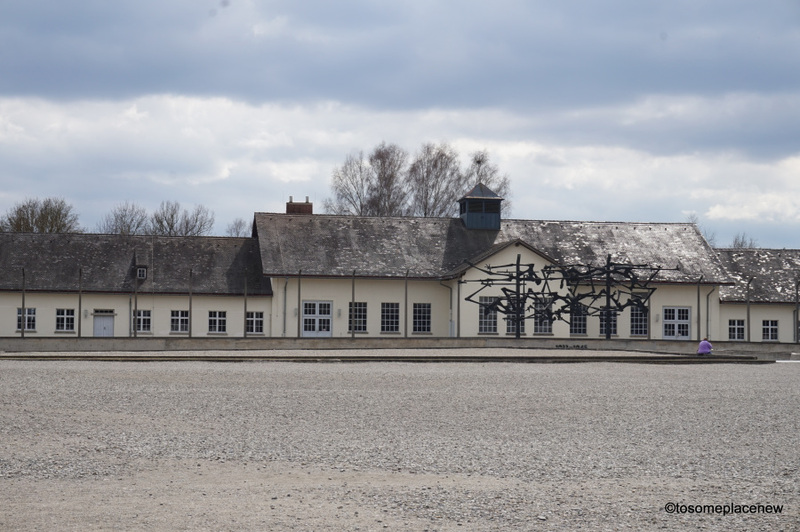 We wanted to visit a concentration camp. We arranged for a guided tour to the Dacau (Concentration Camp) Memorial Site. Central Munich Station to Dacau is about 25 minutes by train. There are bus services available that take you to the memorial site. Our tour guide was from Radius Tours (35 CAD per person). You can spend anywhere from 4 to 6 hours in the memorial site. There are different sections, museums, and a documentary show viewing. I will be writing a blog post on our visit to the memorial site very soon. Its one of the things we have heard and read about, but to see it in person is a whole different experience. The future generation inherits the stories of this horrific place. But NEVER AGAIN. 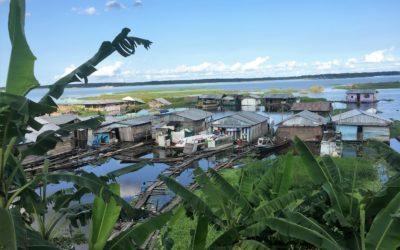 We drove through the villages in a van, accompanied by our local guide Mario. (Mario S is the tour owner and operator.) Mario himself had visited 50 countries, which is so incredible! 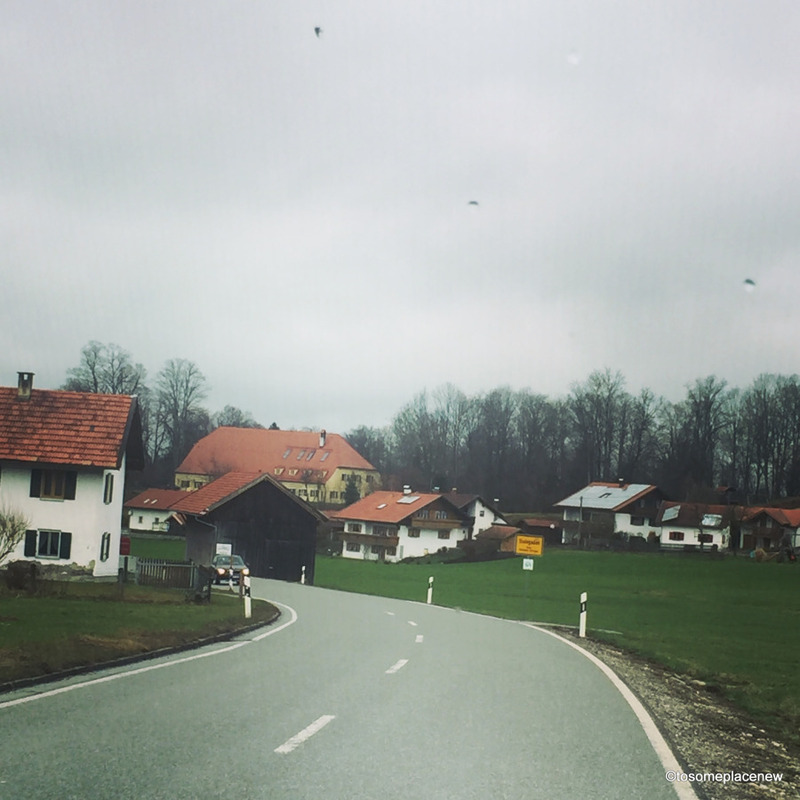 This drive was arranged through Pure Bavarian Tours for 65 Euros per person. 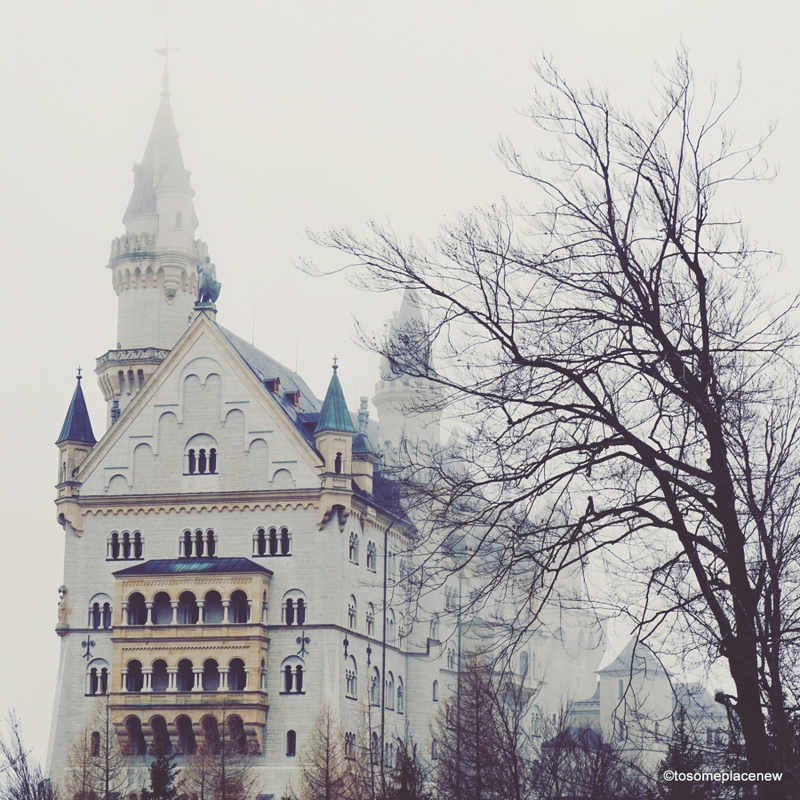 There are many options for day trips to Neuschwanstein Castle. 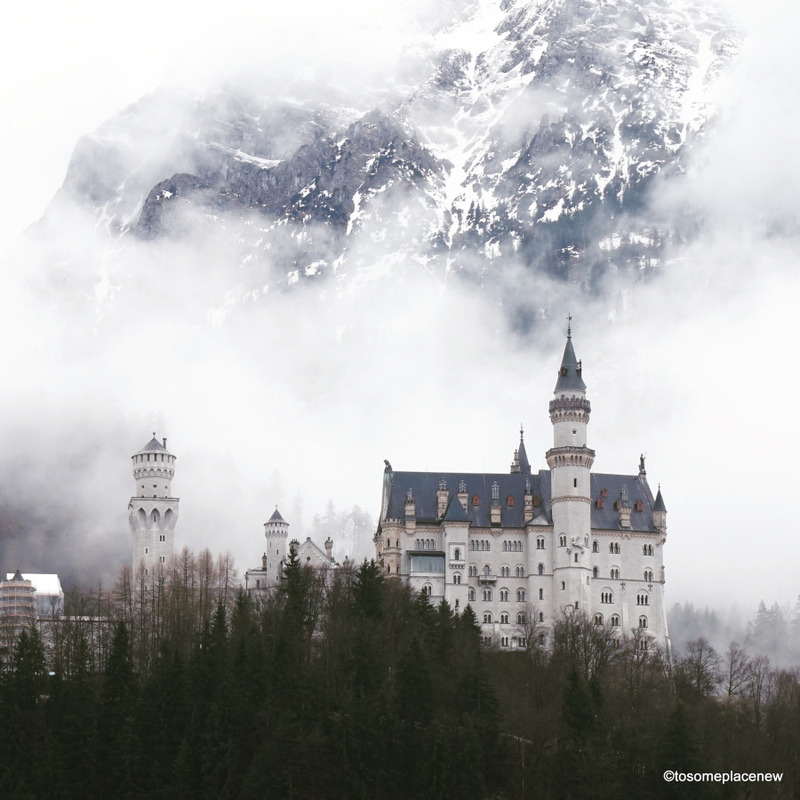 We chose this itinerary as we were able to utilize the entire day in exploring the romantic road that also included a UNESCO hertiage site of Pilgrimage Church of Wies. We visited a cheese farm, had cheese for lunch and enjoyed the Bavarian Alps. What an incredible day! Our 6th day was low profile. 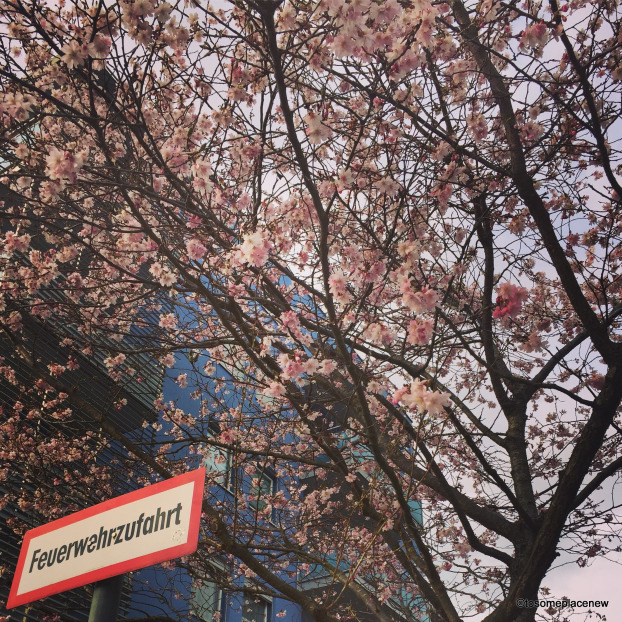 We strolled through the streets of Munich capturing the arrival of spring. 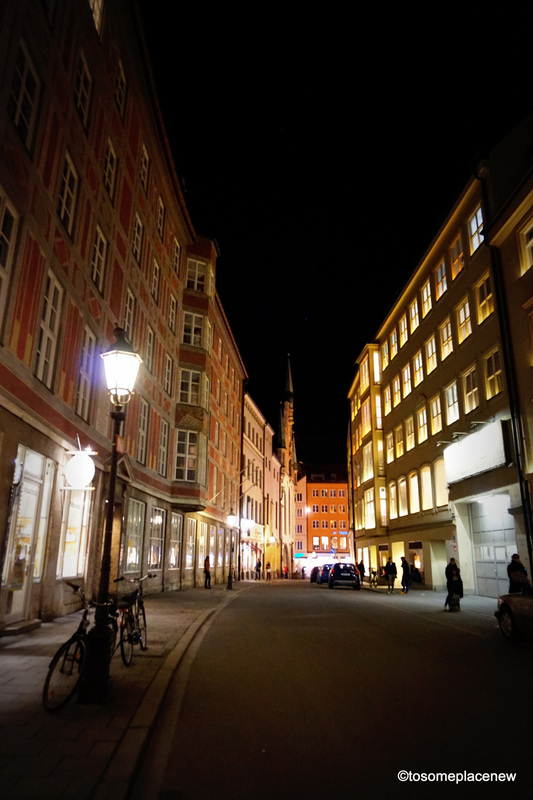 Late in the evening, we proceeded to Marienplatz again to bid farewell to this beautiful city. That night, we opted for a traditional Bavarian dinner at Haxnbauer. Here is their website. Not that we didn’t have schnitzels or beer on other nights, but this was special. 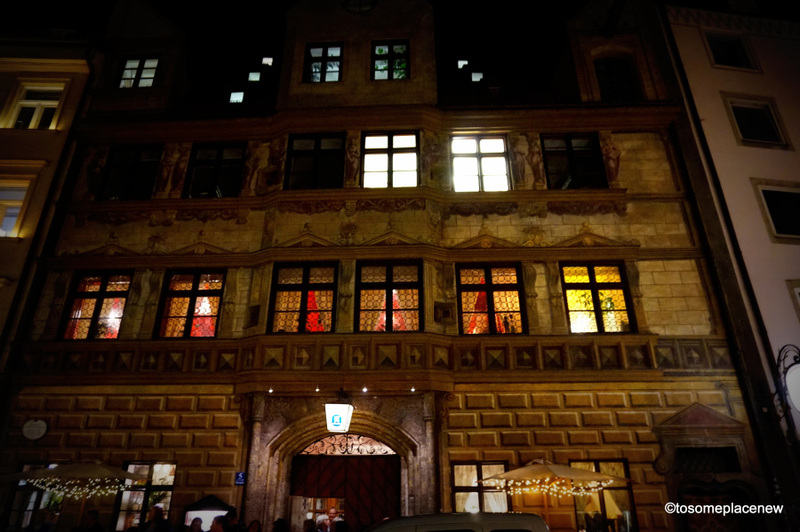 The restaurant is part of a historical building, the Scholastikahaus, which was historically documented in the 14th century. The restaurant is big, with lovely interiors. With fondest memories of our first European trip, we returned home on our 7th day. Staying in a central location, we could use the local S/U Bahn to reach the airport. It cost us 12 euros per person for the transit trip and is 50 minutes from Central Station. Flughafen München, is a major international airport near Munich and is the second busiest airport in Germany in terms of passenger traffic. It serves as the secondary hub for Lufthansa and its Star Alliance partners like Air Canada. The airport has a ‘Visitors Park’ which includes a ‘Visitors Hill’, from which a good view of the westerly aircraft apron and Terminal 1 can be obtained, as well as a restaurant and a shop for aircraft models and other collectors’ items. There is an open shopping arena between 2 terminals called the Munich Airport Center. 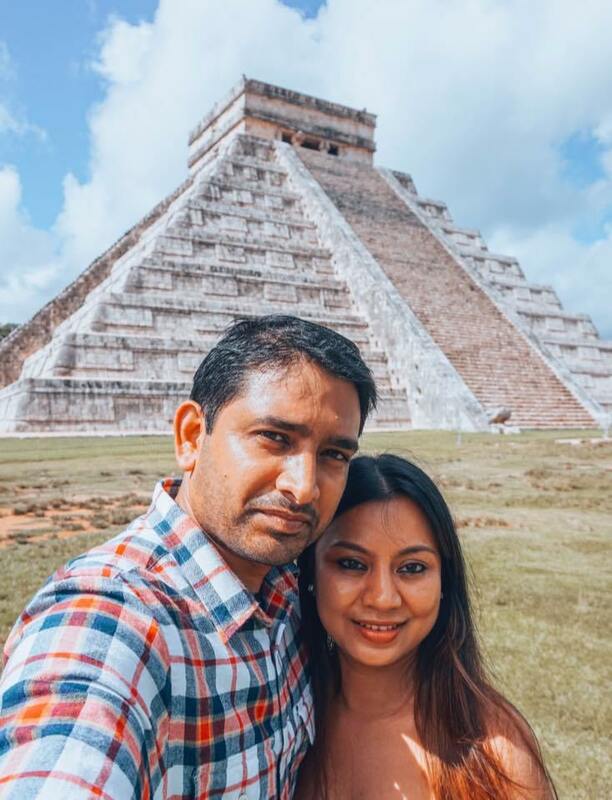 I’m Mayuri, a travel enthusiast who loves to wander around this planet with my soulmate, Salil. We are happiest when we are together, exploring the world, with coffee and camera in hand. 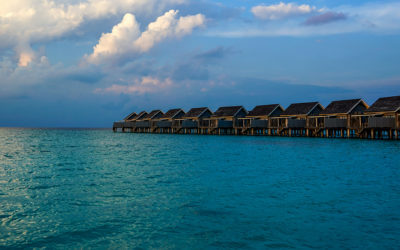 Follow us on our adventures as we travel, eat and photograph this beautiful world!